This looks EXACTLY like my mix, except mine has an extra (few) pounds…. 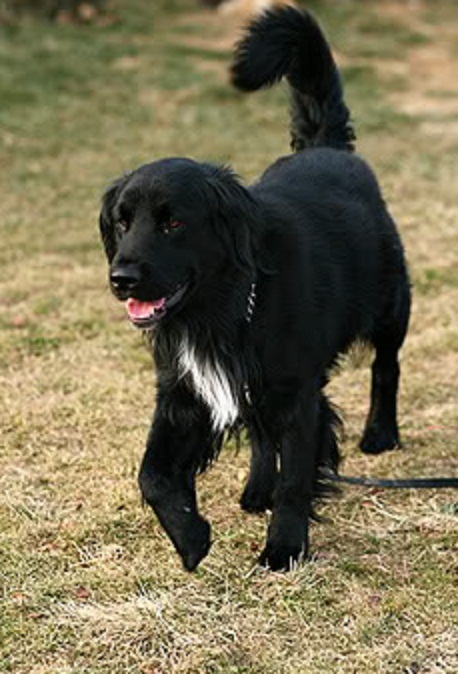 HEY does anyone know any contacts for breeders of the golder retriever x boarder collie in WA, or if not, in AUST at all. I am in love! please send details to joshandemmaareholidaying@hotmail.com Thankyou!! Be very leery of those genetic marker tests for breed composition. They don’t test enough markers to make the claims that they do, and they don’t have a big enough database of dogs within the breeds to generate those markers. 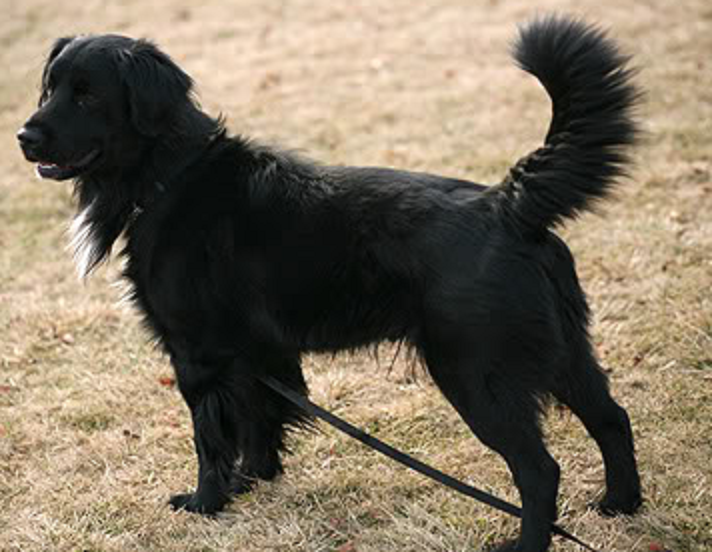 This could also be a flat coated retriever/border collie mix. I have a dog that looks almost exactly like this and is an excellent upland bird dog which flat coats are known for. Looks exactly like our rescue, Willie. Five years old now and 80 lbs. His tail is fuller and curls up over his back. Best dog ever! I had a Litter in 9/2010. They are very smart and protective and loving. I kept 2 they are the best ever.